First step obviously was to remove the back pockets and remove the lint (urgh). 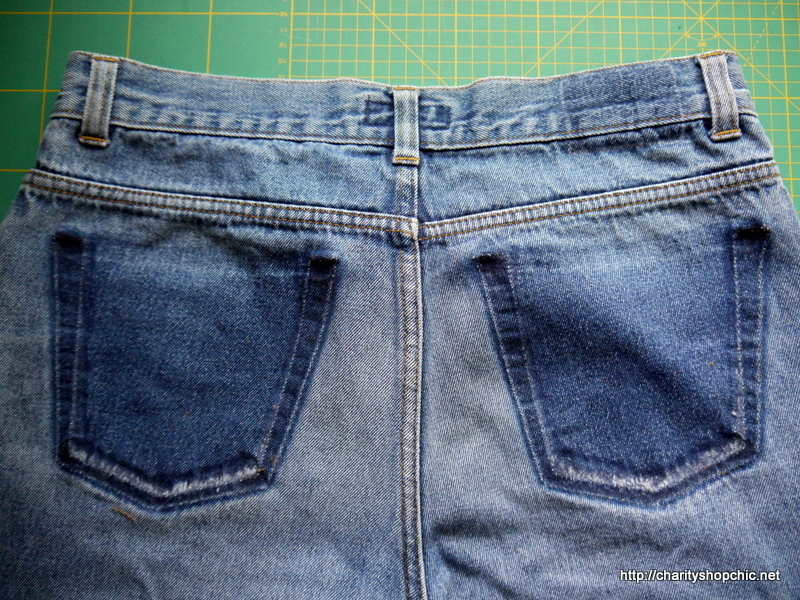 Note the lovely colour difference between the washed areas and the original denim (this is key to getting the look). 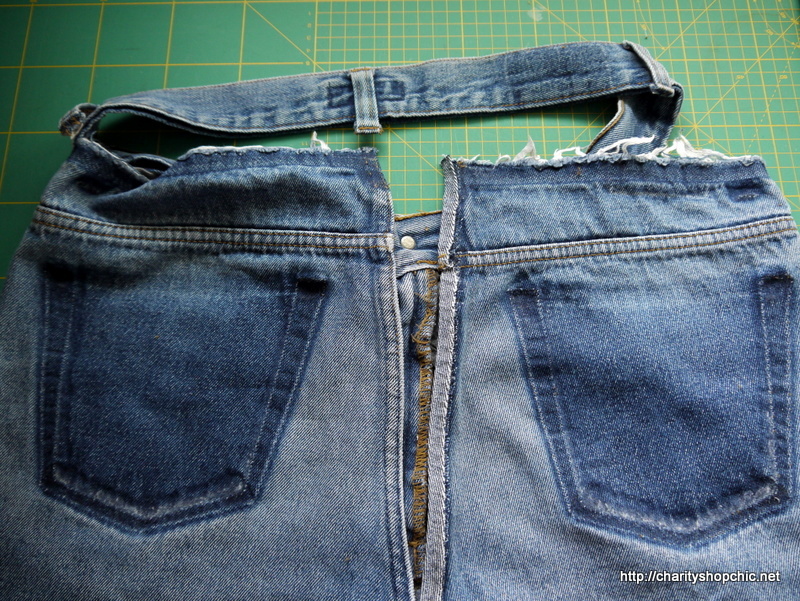 I unpicked the waistband everywhere except the centre front section (that would be hard to sew back on). I unpicked also the back seam. I merrily cut up the back legs and at ninety degrees into the centre back seam. 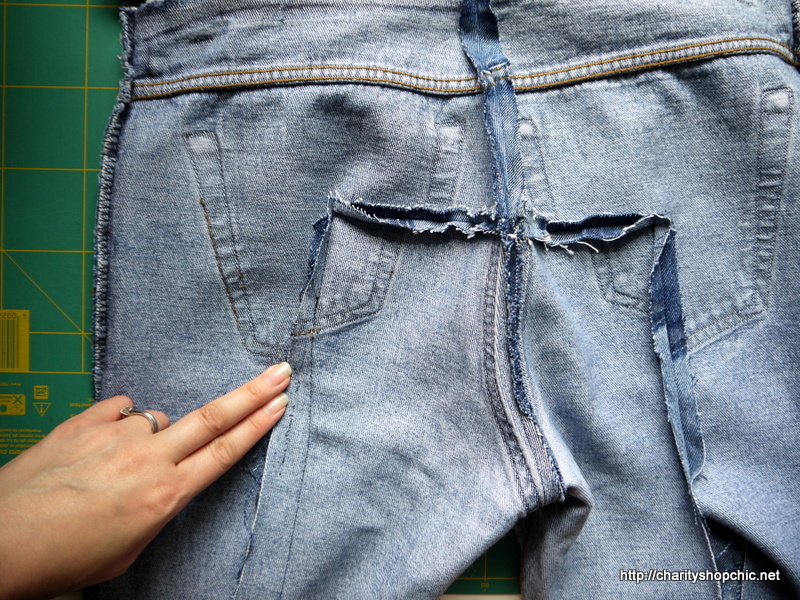 Sewing the back sections in gave me the look I wanted for the pocket sections, but my overenthusiastic seam allowance left me with a bit of a gap at centre back, as it turns out. Trying them on, I made a new centre back seam. Because of the aforementioned gap, I ended up with a dark blue stripe in the middle. No big deal. I cut up the front legs, making sure to cut far enough away from any rivets that I could sew it back together without having to sew over any. I included the pocket bags in the seams, so the front pockets still work. 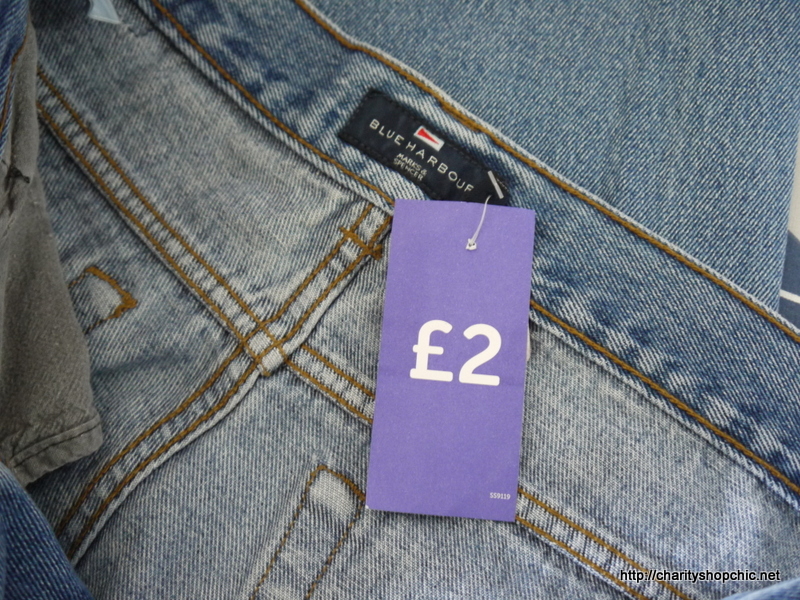 The slight colour variations in the wash help emphasise the new style lines, I think. I made some fitting adjustments on the back seams to make them a bit tighter, but overall the fit was OK. 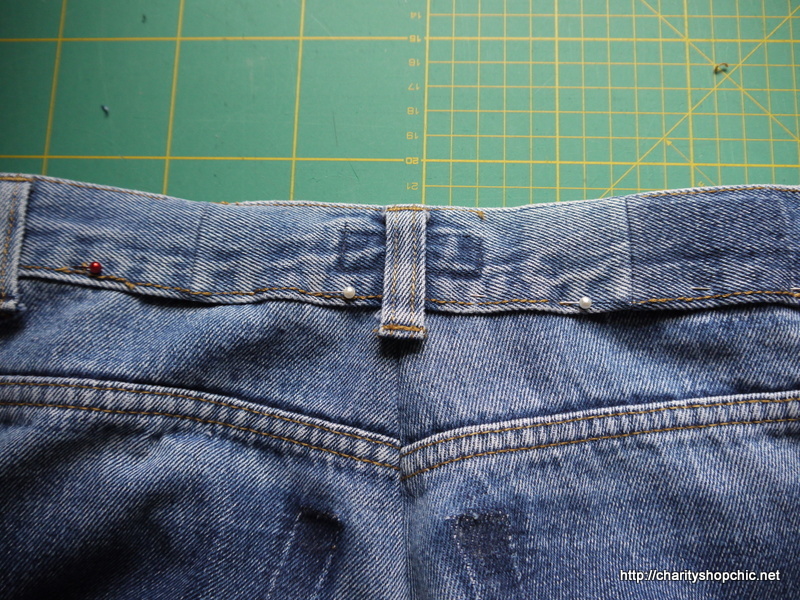 The only issue was to shorten the waistband accordingly. 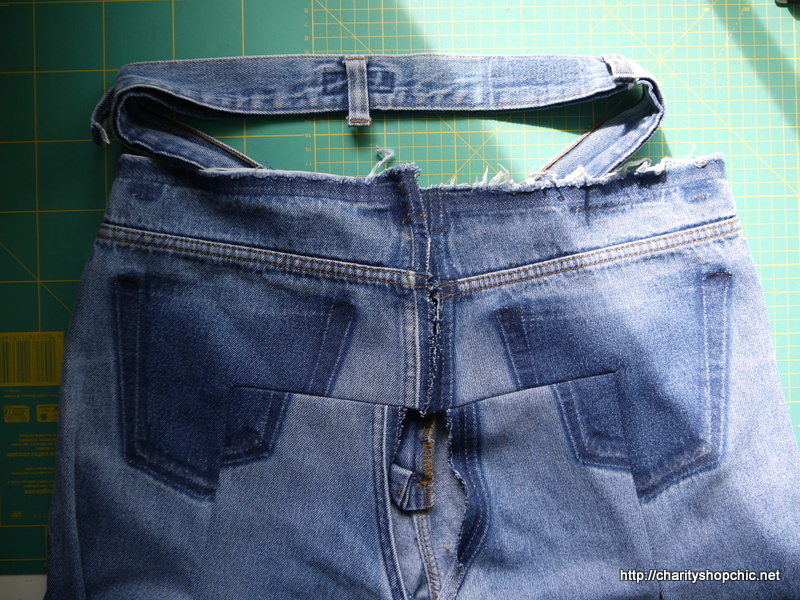 I cut it and reattached it in two places (to avoid bulk from seam allowances at the join between the centre back seam and the waistband). 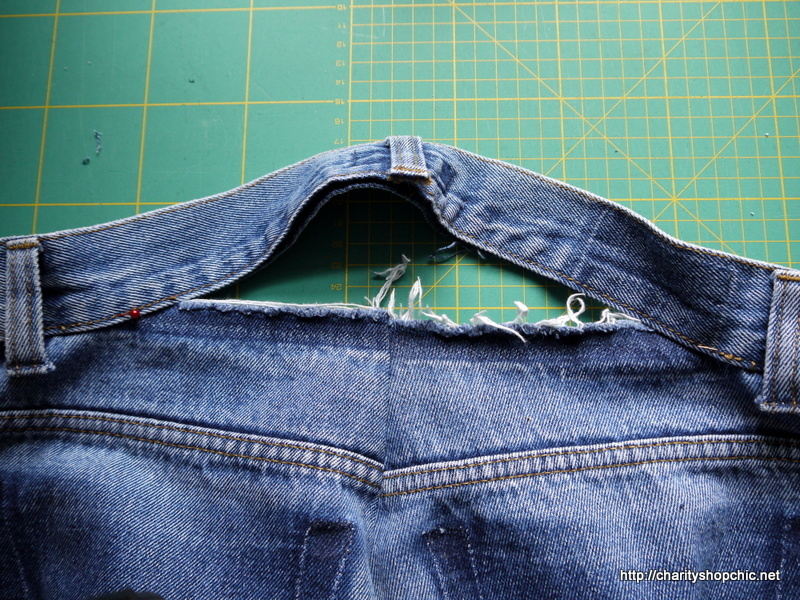 I actually ended up sewing the belt loop back on by hand as it was more than my machine could take! 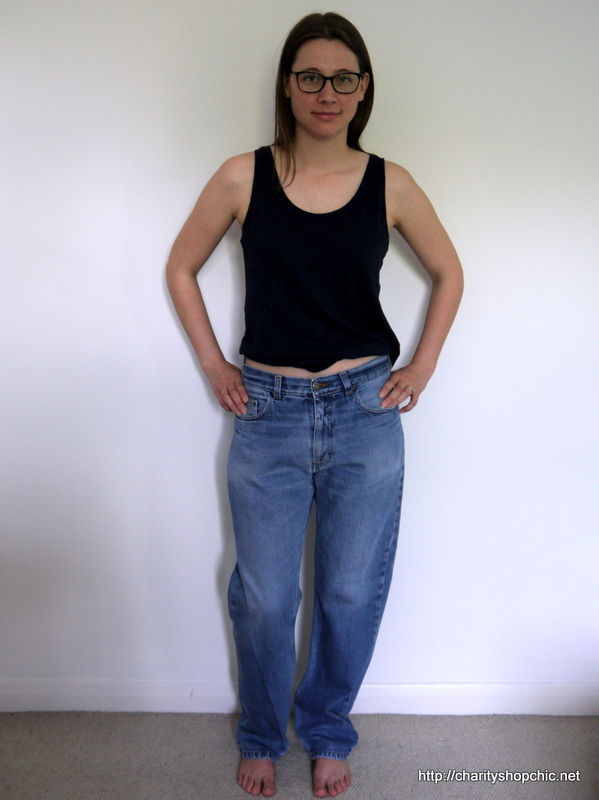 And here are the finished jeans! There is room for my phone in the front pockets, just about. I left the hems uneven and unfinished. To get them to unravel a bit, I just ran them through the washing machine. 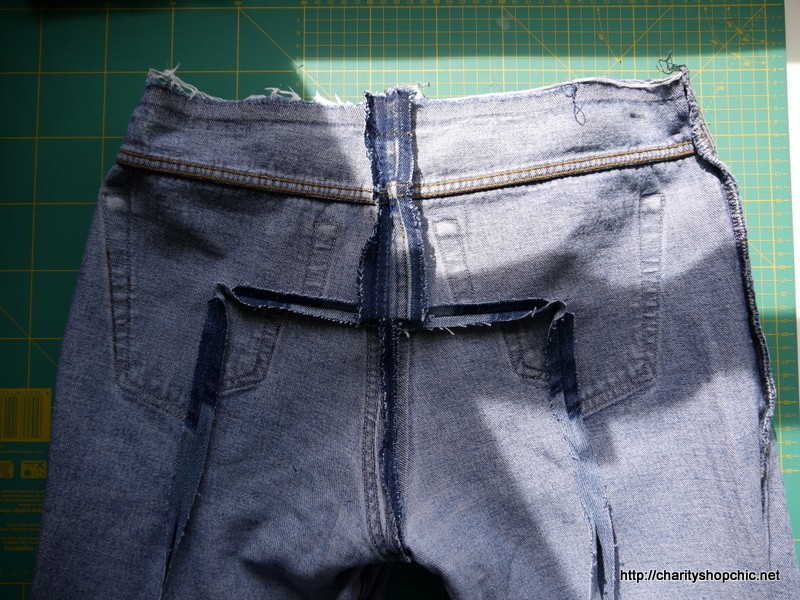 The back pocket pattern I think looks great! Thank you Portia for asking me to be part of this series again! 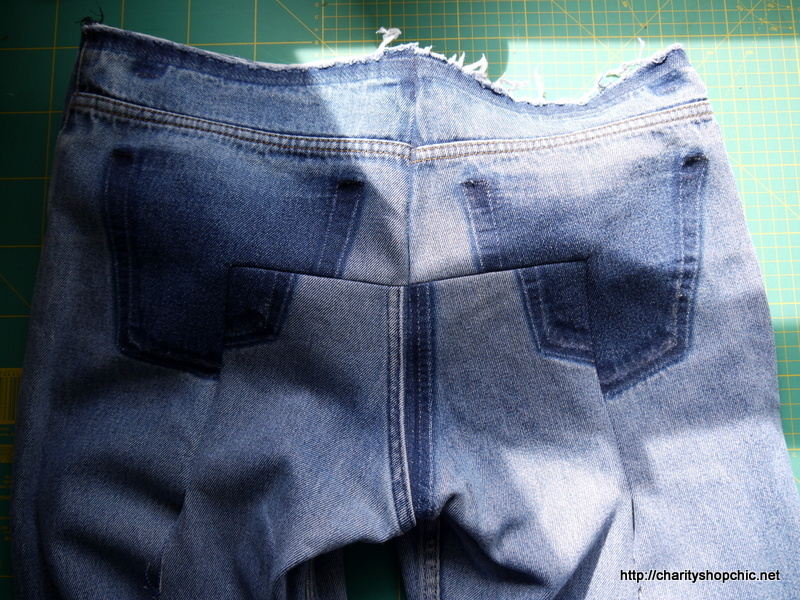 Another really clever refashion. 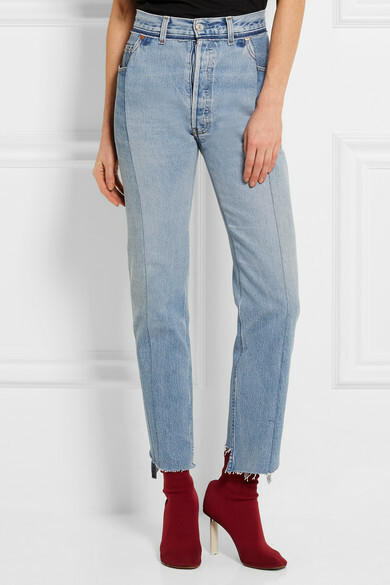 I love these jeans and immediately wanted a pair! You should make some! 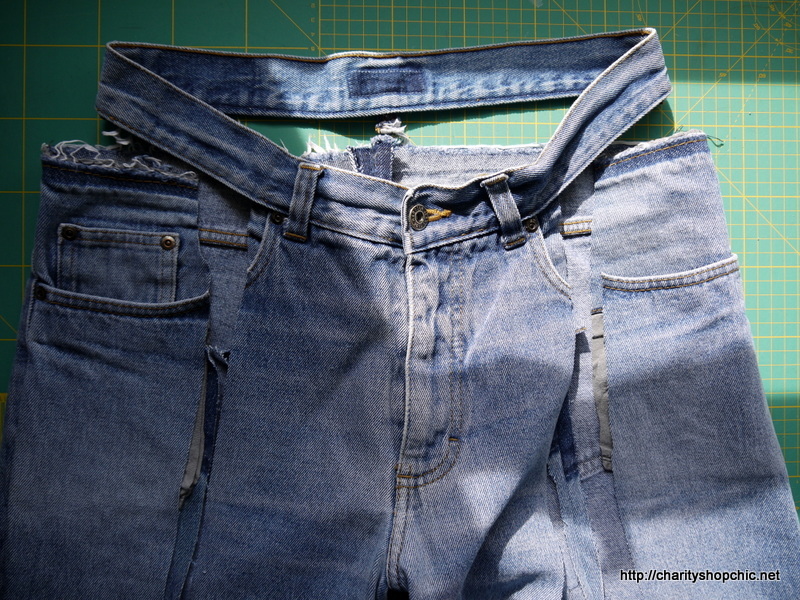 It was quite a quick make but I think the key is in selecting the right jeans to start with. How did you know they were the “right” jeans? Super tempted to copy you, but just not sure what to look for in terms of fit? 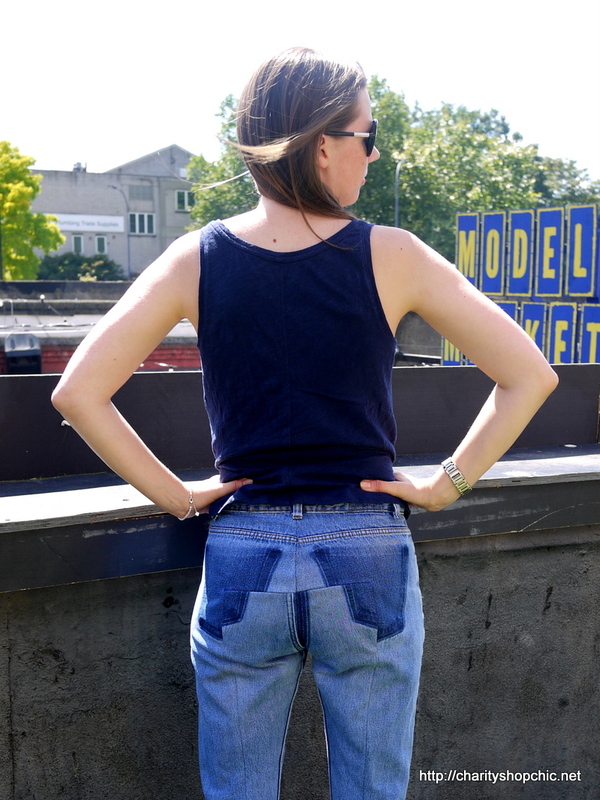 Really cool, and very brave of you to take on the challenge of wiorking with denim. Thank you! 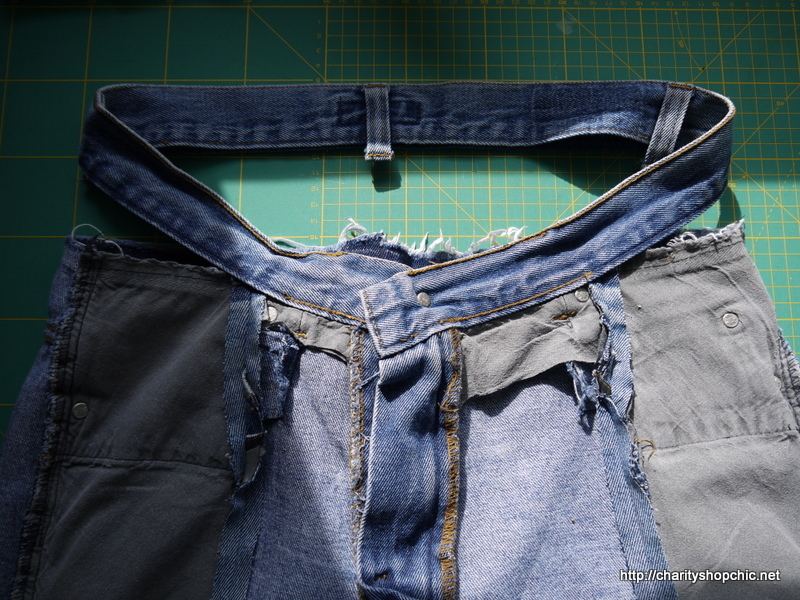 Denim is a real challenge…. This is super super clever. I think I have to try this. Thanks for the inspiration. 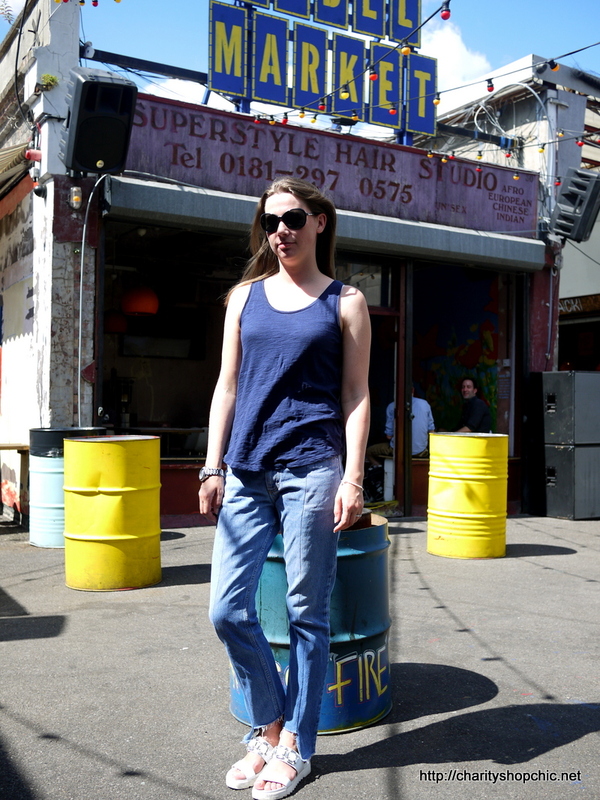 Thanks Stephanie, be sure to check out the original Vetements jeans as there are several different styles. I REALLY hated the “inspo” piece, BUT I kinda love your take on it! Probably something I would wear if the length wasn’t jagged! Good job!!! Haha, not at all, each to their own! You would need a lot of jeans to make that – and imagine how heavy it is! 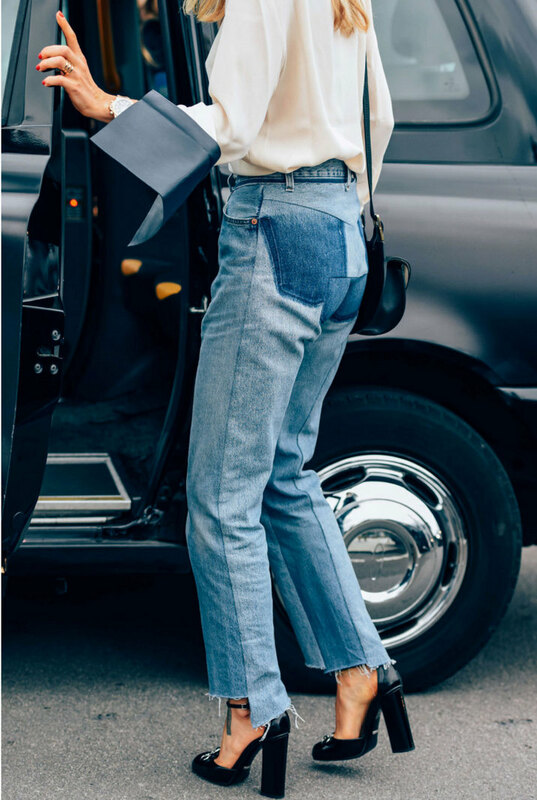 Great refashion, the effect on the bum is very clever and you’ve really managed to capture your inspiration designer jeans. very clever! 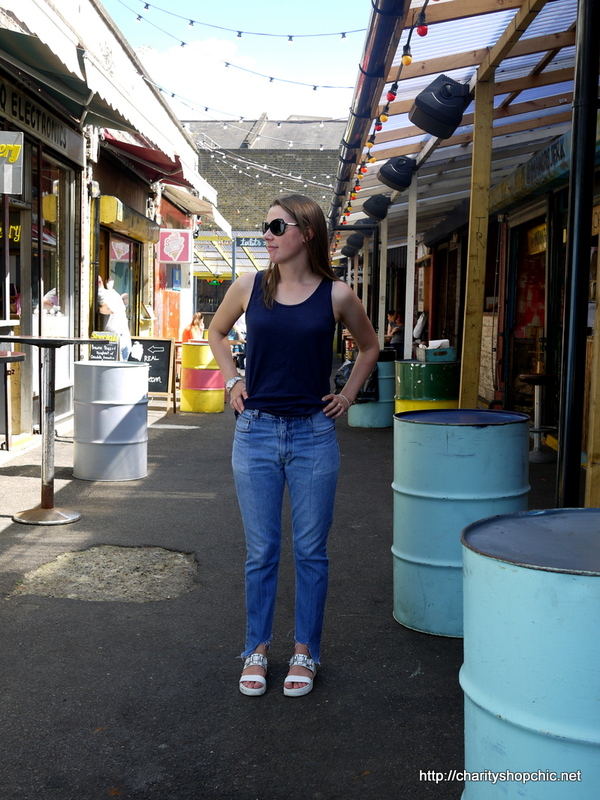 I know that lots of resources are used to make one pair of jeans so being able to refashion them, and use them for longer is a great idea. 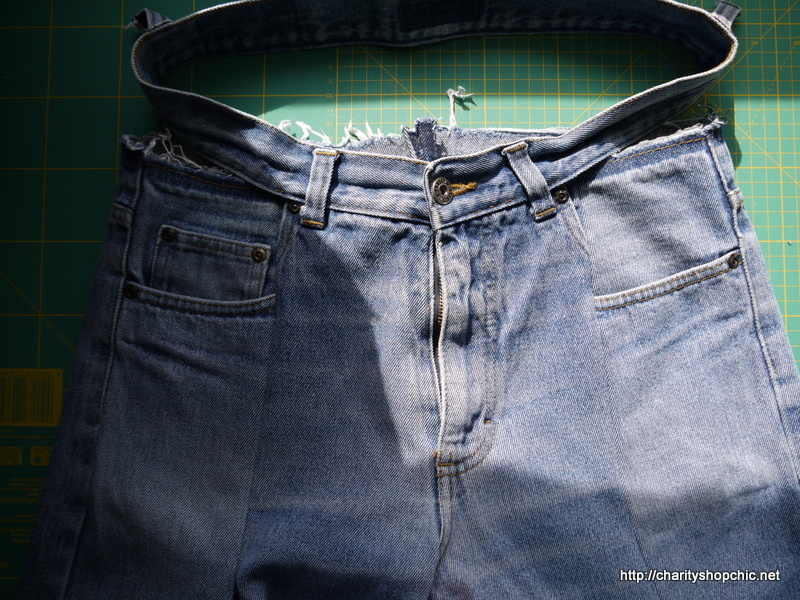 I recently refashioned my first pair of jeans: turning them into a skirt,but nowhere near as clever as your work! Hi Kathryn, thanks for the comment. 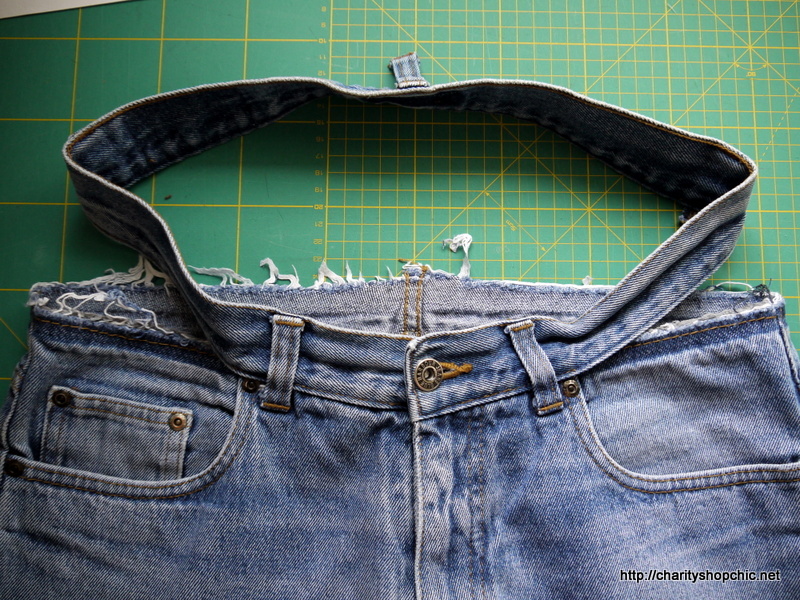 A denim skirt is a great way to repurpose old jeans, hope you wear it lots! Hi Cynthia! Glad you’re enjoying reading, and thank you for the kind comment! Thanks for the shout out and good luck with your challenge! I often say mean things about Blue Harbour but I shan’t anymore! Nice job. And the shoes and the photography! These are so cool!! You picked a great inspiration to recreate and have done an amazing job. Great location for pics too! I’m really sorry but I think it looks horrible ! 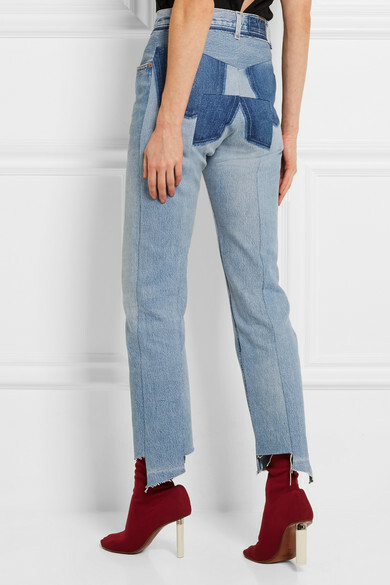 Love jeans normally, and love playing with the color difference when remaking something, but I don’t like this at all… But compliments on copying an almost 1500$ (!) 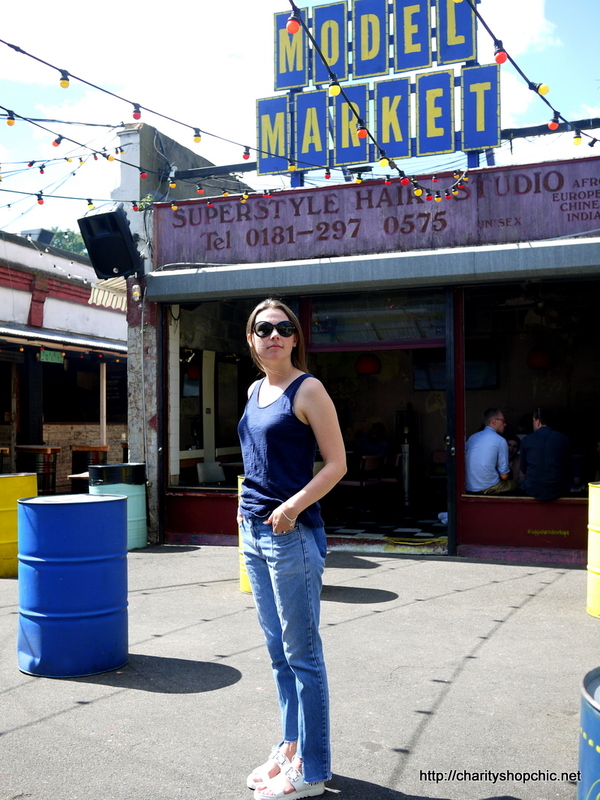 jeans, well done. Hi Wendy, yes, this look is very fashion forward, so I guess it’s not for everyone. Thanks for reading. 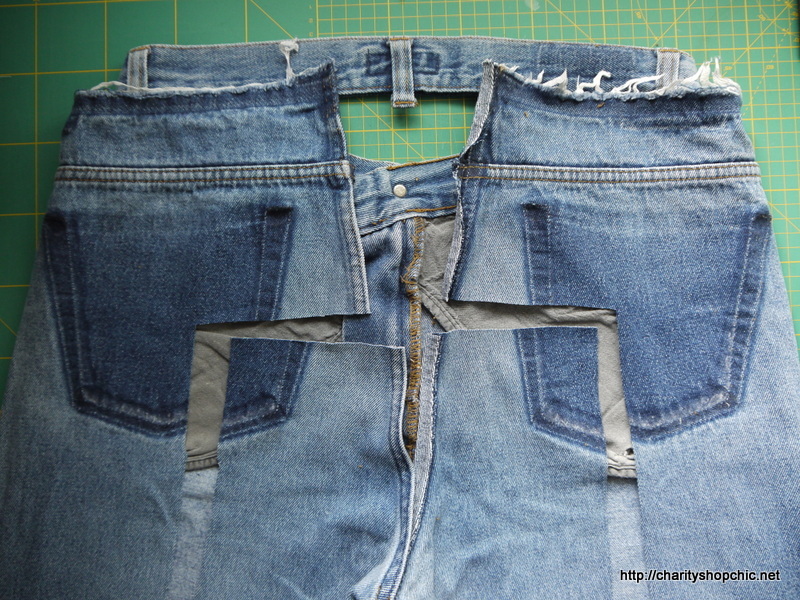 Really inspirational.I love sewing and making some new things from it.Denim is always a favourite but changes need time and ideas .This is really very helpful.The square pocket on front side is really great.